Did any world not begin with love? Love, by its very nature, is unworldly, and it is for this reason rather than its rarity that it is not only apolitical but antipolitical, perhaps the most powerful of all antipolitical forces. Did we not walk through the woods side by side, our hearts bursting with as much light as there was shining through the trees? Did we not meet on an airplane, our ears popping, but speaking louder to each other in Spanish about literature and South American poetry? Did you not put your arm around me for the first time while walking down Crosby Street? Did we not kiss with the Empire State building watching us? Did we not grow up together, under the same sky? Are we not growing old together now, walking the same earth? Did we not run through the leaves together, marveling at the sound? Did we not break bread together, bandages on fingers and coffee in hand? 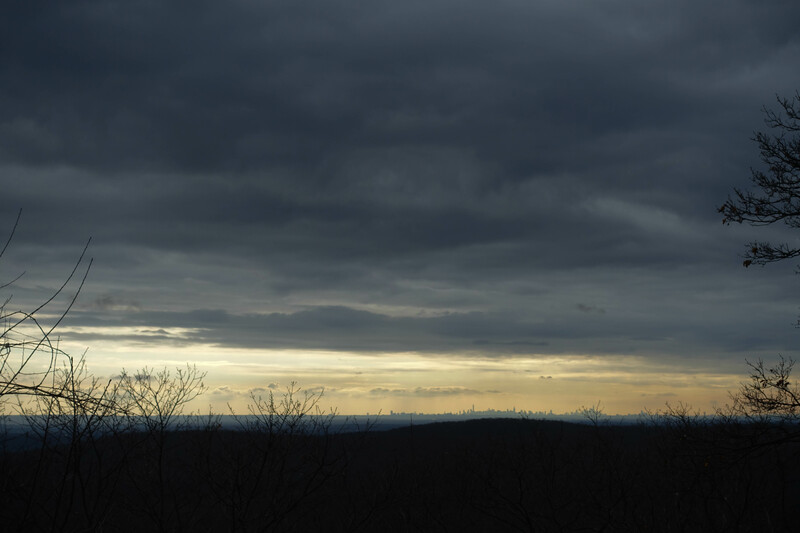 Did I not think of you while watching the city skyline from a distance; the shadowy outlines of Manhattan coming to life in the morning after shedding itself from the mist and fog of the night? Did you not surprise me with flowers one spring day? Did you not disappoint me with your absence one summer night? Did we not wake at the same time to hear the owl’s song? Did you not sit on the other side of the door while I was weeping, your voice reaching for mine? Did you not sing to me as I fell asleep? Did we not stand, a river apart, wondering how the other was sleeping? Are we not countries apart now, thinking of the same thing? Are we not all of different skin colors and religions and even political beliefs, yet marveling all the same at these little details of love? Did any revolution not begin with hope? Did any winter not end with spring? Did any change not begin with doubt? Did any world not begin with love? last night, fell asleep to the sound of the moon with my hair and eyes still wet and glistening from the beauty of summer. the fan spinning slowly above me, my whole body tingling from the midwest air. in this critical state, i accidentally bought the books i wanted to read you lines from, because it’s the final way i have left to send you love letters. i keep a gratitude journal, and it’s separate from my main daily journal (which i lovingly call “The Main Squeeze” on my journaling app, so that i don’t get confused). i don’t post in the gratitude journal as often as i’d like to, but here are some real entries (from the past 3 weeks) for things i’m grateful for! waking up early to do yoga on the rooftop, facing you. met matt damon in my dreams last night, what? when doorman exclaims as i go downstairs on my way to work after rolling out of bed and throwing random clothes on at 8 in the morning: “you look so incredibly beautiful! tell me what your secret is! you don’t even wear makeup!” me blushing and shaking my head. the wild chase for the m&m statue! have an incredible, gratitude-filled day.